While living in Istanbul for six months, J grew a bit restless; he was in need of the next big adventure. I guess I was, too, because when he suggested cycling, I jumped right on board. Originally, he wanted to cycle through Africa, but, unfortunately, this involved 2 major problems: Syria and Northern Africa. Although both of these regions are appealing to me, the U.S. and U.K. governments have officially stated that you’re on your own if you choose to go there; basically, if you find yourself in a dire situation and in need of assistance, you will receive none. If these regions were currently experiencing a different political situation, I’d be more inclined. Nonetheless, he altered his plan, deciding to begin at his mother’s home in the U.K. and to head east through Europe. 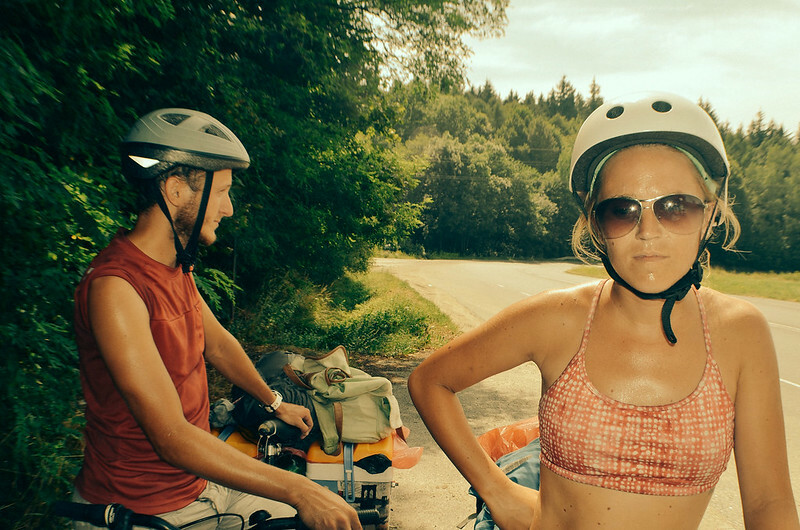 Loads of people go on long distance cycle tours, but we wanted to throw in a few curve balls: we bought $45 secondhand bikes, made panniers from coolers, and had no idea what our route would be. We wanted to travel in a cost-efficient and environmentally friendly way, using our own power and pushing our physical limits- we did not train for this journey. All we knew was that we wanted to arrive at our friend’s place in Slovakia-over 1000 miles away- in 30 days. J’s little brother agreed to join us for a few days, and so, two Brits, a Slovakian, and an American set out on a hot summer day, full of enthusiasm and excitement. Two miles later, I experienced my first puncture (damn thorns). A few hours later, I had my first (and only) crash (and quite a bad one, at that). The next day, I got three punctures at once. Still undeterred, we continued on, using freecamping (in fields, forests, beaches, and abandoned houses) to sleep on most nights of our journey, almost without problem; on the other nights, we used Couchsurfing. 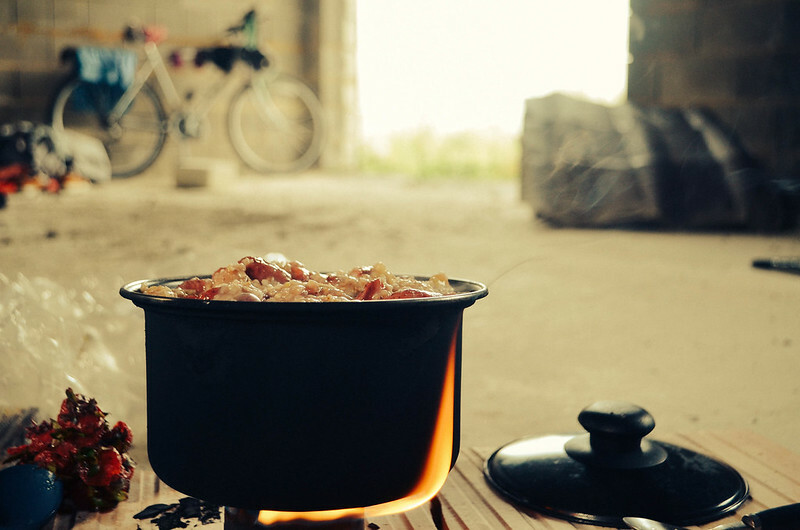 We cooked pretty awesome meals each night on a stove made from a can, and which ran on burning alcohol. Although this method takes a bit of time- you can’t control the temperature- it’s clutch for reducing the weight in your panniers. As we were trying to complete this journey on a budget and in an environmentally friendly way, we did a lot of skipping to reduce waste. Although frowned upon/slightly illegal in many countries, most stores leave their food bins unlocked. 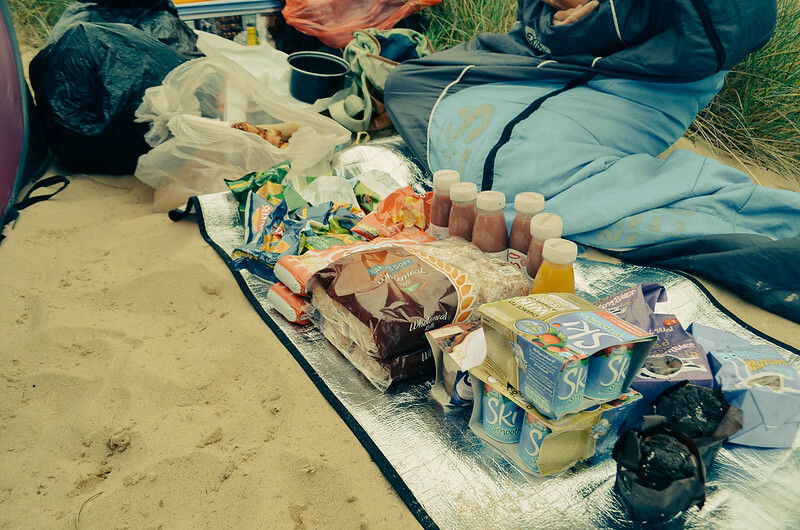 We found so many perfectly fine things (bread, croissants, yogurts, smoothies, muffins, produce) that would have gone to waste, amounting to hundreds of dollars saved throughout our journey. After sleeping at an abandoned petrol station next to the port, we crossed the English Channel vis ferry from Harwich to Hoek van Holland- our largest expenditure throughout the entire journey; we would normally try to hitchhike the ferry, but with three bicycles, it’s considerably more difficult. After not showering for days, I bathed in the sink of the bathroom on the ship. We’d heard that The Netherlands is a cyclist’s paradise due to it’s flat terrain, so we stepped off the ferry refreshed and ready to go. After spending a night in Den Haag (The Hague), we made our way to Amsterdam so that I could meet an old friend, but that’s a-whole-nother story. After escaping the drama that ensued there, we spent a few more very hot and sweaty days cycling and camping in beautiful Holland before entering Germany.